The third edition of the French Infrastructure, Urban Development and Real Estate summit (SIATI) took place on June 13, 2017 in Paris, where the most deserving public and private sector institutions in each sector were honored during the awards and dinner. Held at the Pavillon d’Armenonville, the event was attended by 650+ representatives of local communities, infrastructure funds and investors who gathered to discover how diversified, performing and innovative the projects conducted with a sustainable development approach could be. Despite strong competition, Mirova ranked first (Trophée d’Or) in the “Infrastructure funds – the best green strategy” category for the third consecutive term with Mirova-Eurofideme 3. This is the third investment fund managed by Mirova dedicated to equity investments in greenfield renewable energy assets across Europe, since the launch of its business in 2002. 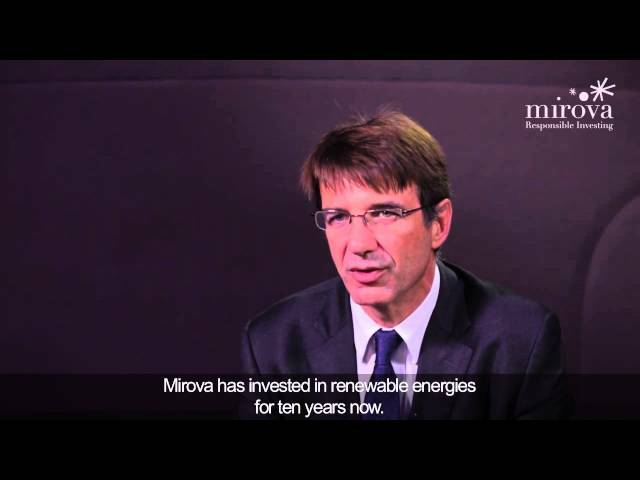 As a responsible investor, Mirova has committed to steer financing towards the UN Sustainable Development Goals, notably in terms of access to affordable, reliable, sustainable and modern energy sources. over the last 15 years, the Renewable Energy team contributed to the construction of 155+ well diversified renewable energy projects (1.3GW), spanning from wind farms, solar panels, hydroelectric and biomass, in Europe and representing € 2 billion of total investments*. Mirova-Eurofideme 3 has neither been authorized by the French Financial Market Authority (“AMF”) nor by any other supervisory authority. The Fund’s investment objective, strategy and main risks are described in their regulatory documents. Its fees, charges and performances are also described in those documents as well. Investments in infrastructure funds are mainly subject to loss of capital risk. They are reserved for specific investors, as defined by their respective regulatory documentation.